Mindcamp 2018 starts Wednesday afternoon August 22, 2018 and ends Sunday afternoon August 26, 2018. Pre-Mindcamp for Presenters starts at a location in downtown Toronto on Monday, August 20, 2018. Mindcamp takes place at YMCA Geneva Park near Orillia, Ontario. 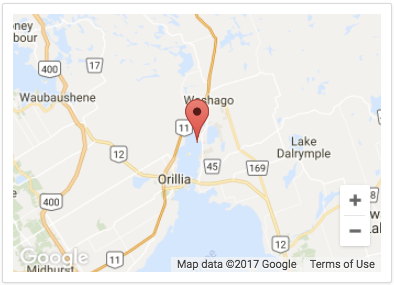 Check the bottom of this page for a map. Pre-Mindcamp for Presenters takes place at George Brown College on Front Street in the Canary District, downtown Toronto. Click here to add your name to our email contact list, this will produce a half-dozen emailed announcements during the months before Mindcamp. If you want to be the first to be alerted to new developments, subscribe to our News & Announcements on this site and you’ll get an email when we post something here. You can do this using the form below. How can I phone you? You don’t. We hate phone calls. Can I volunteer at Mindcamp? We offer a limited number of Internships at Mindcamp — that is, creativity students or professionals who wish to volunteer their services. They are called Bananas and they work damn hard. We have all the volunteers we need for this year, but if you want to volunteer for next year, write us an email. Registration usually opens in February. Use the registration link that is prominent in the menus of this site. If for some reason that doesn’t work for you, contact us. How can I get my boss to pay for this? Check out this page for some convincing arguments. Yes, you can. Write contact@mindcamp.org for more information. Please do! They are welcome. Mindcamp is designed as an immersion experience with a specific community of people who are together for 5 days. So we’d prefer you didn’t come for only part of the time. We can’t stop you from leaving early or from coming late, but we won’t reduce the fee. I want to skip a meal / leave early / skip sessions. Can I get a price reduction? No. We don’t segment our fees. How do I get to Mindcamp? Practice! OK, seriously, there’s a whole lot of information about this on this page: Getting Here. Plan to arrive before 5:00pm on the first day. Where can I stay before/after Mindcamp? When applying for a travel document or entering the country, they will want to know that address where you will be in Canada. It is: YMCA Geneva Park Conference Centre, RR#6, 6604 Rama Road, Orillia, ON L3V 6H6. What should I see outside Toronto before/after Mindcamp? Where can I see a list of presenters/sessions? Check the menu items at the top and bottom of each page, and click on whatever looks promising. As presenters are chosen and sessions developed, these will be posted on those pages. When/How do we sign up for individual sessions? You don’t. Just show up. If the participant max hasn’t been reached, you’re in. NOTE: If you are mobility-impaired and anxious about getting to low-limit sessions early enough, contact us and we may be able to help. How can I apply to be a presenter? We open up to session proposals in February, generally. If you want to receive notice at that time, Click here put your name on our contact list, making sure to select “Call for Presenters” as an interest. That said, please be aware that Mindcamp is a non-profit event, in which everyone pays their expenses. It’s not a paying gig. You will have to pay to come to Mindcamp whether you present or not. Also it’s important to understand that Mindcamp is a gathering of colleagues, with a maximum of 200 participants, many of whom are already creativity professionals. If you’re looking for new clients, you probably won’t find any here. Can I pre-ship materials for my presentation? Yes, there is WiFi access in the main buildings. It is not particularly robust or speedy so don’t plan on streaming any movies or other high-bandwidth stuff while you’re there. Do I need to bring bedding/towels? No, bedding and towels are provided. Bring a beach towel if you’d like to swim. Yep. There’s a coin laundry that takes quarters and loonies. How can people contact me while I'm at Mindcamp? There is WiFi, and your cell phone will work. If you need to give someone an emergency contact number during Mindcamp, please write to us and we will give you one of our numbers. Is Mindcamp accessible to people who are mobility impaired / handicapped? It depends on the level of impairment. There are no elevators anywhere on the site. About half the accommodation rooms are on the second floor, so if a ground-floor room is required you need to let us know. Most of the sessions take place in ground floor rooms, but the site is very spread out, so to get from one session to another can be a 10-minute walk for someone with average mobility (the interval between sessions is 30 minutes). One session room is up a flight of stairs, however it’s a room we rarely use. Another session room requires four steps up to get into the room. Some sessions are outside on a lawn, or even go into the woods. If you are mobility-impaired, will you be able to participate as fully as an unimpaired participant? No. But in the past several mobility-impaired participants have been able to cope with Mindcamp by planning their day to accommodate their pace. Can I bring a tent/RV/van and camp onsite? Sorry, no. Geneva Park doesn’t allow camping onsite. Can we rent one of the cottages? They are not available as conference accommodation and in fact are all rented out for the whole summer well in advance. We sure hope so, because Mindcamp is on a lake and there’s a beautiful beach. Bring your swimsuit! Got a question that hasn’t been answered here? Write us at contact@mindcamp.org and we’ll do our best to answer it!